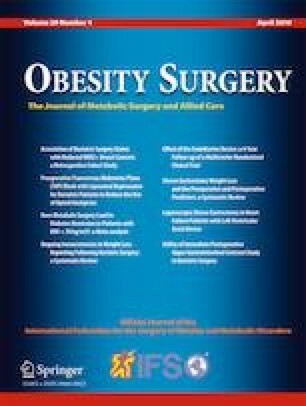 Bariatric surgery results in sustained weight loss, improvement of metabolic and hormonal changes, and reduction of comorbidities in obese patients. However, beneficial effects of bariatric surgery are not solely explained by restriction and malabsorption induced by surgery itself. Changes in the microbiome might play a role in this mechanism. A systematic review was performed in which 21 studies were included. The microbiome was affected by surgery and profound changes occurred in the first year of follow-up. An increase in Bacteroides and Proteobacteria and a decrease in Firmicutes were observed postoperatively in most studies. These changes were associated with weight loss. Bariatric surgery induces profound changes in the microbiome. This may be related to the beneficial effect of bariatric surgery on comorbidities associated with obesity. Bariatric surgery is associated with rapid and sustained alterations in the gut microbiome, with more pronounced changes in patients undergoing Roux-en-Y gastric bypass compared with sleeve gastrectomy. Furthermore, an increase of diversity and microbial richness of the human microbiome was observed following bariatric surgery. This may be related to the beneficial effect of bariatric surgery on comorbidities associated with obesity, such as type 2 diabetes. Unraveling the exact correlations between alterations in microbiome and bariatric surgery is challenging and may provide new therapeutic opportunities to reduce morbid obesity. All authors equally contributed to this paper. Conception and design of the study: ML and GN; literature review and analysis: JL and GV; drafting and critical revision and editing, and final approval of the final version: JL, GV, ML, and GN. (“gastric band” or “bariatric surgery” or “upper gastrointestinal surgery” or “gastric surgery” or “sleeve gastrectomy” or gastrojejunostomy or gastrojejunostomies or “duodenal-jejunal bypass” or “biliopancreatic diversion” or “Roux-en-Y gastric bypass” or DJB or RYGB or “obesity surgery”).af. AND (“gastrointestinal microbiome” or microbiome or microbioom or microbioma).af. 5. Were the people assessing the outcomes blinded to the participants’ group assignments? 6. Were the groups similar at baseline on important characteristics that could affect outcomes (e.g., demographics, risk factors, comorbid conditions)?